Available in 3 color options – AB Iridescent, Gold Clear and Silver Clear. 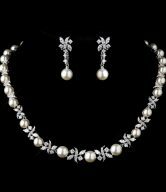 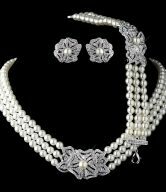 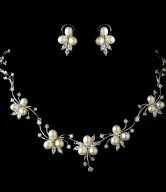 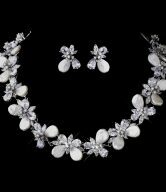 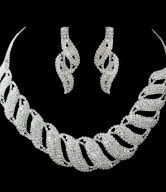 Matching Bridal Necklace & Earrings Set available. 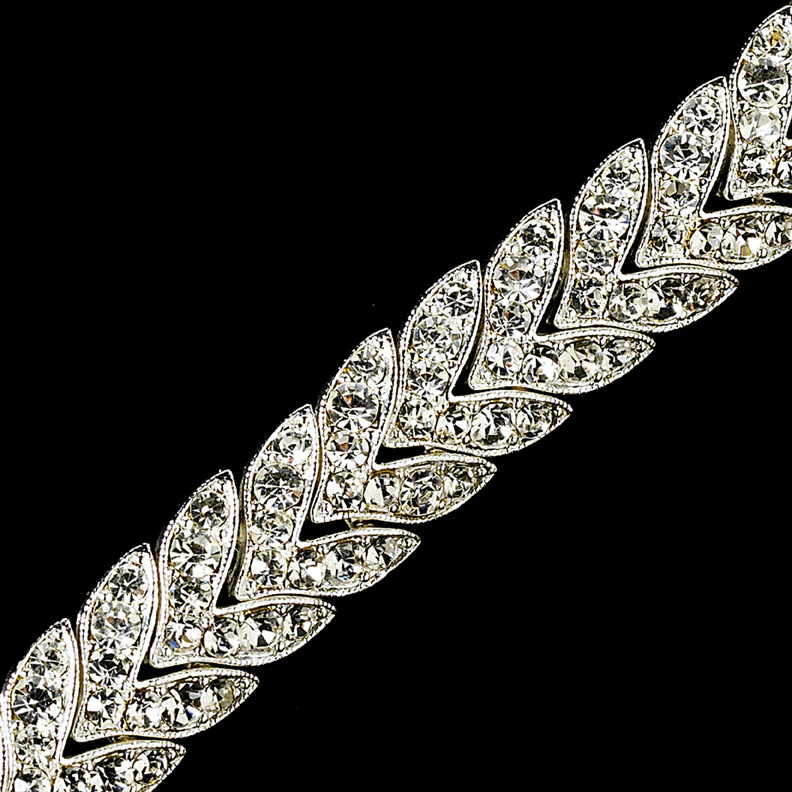 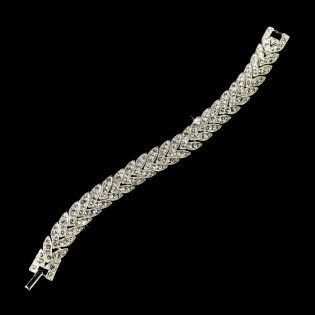 Graceful and classic, the Elegant Rhinestone Bridal Bracelet is a laurel wreath-patterned crystal bridal bracelet that will dazzle on your wedding day. 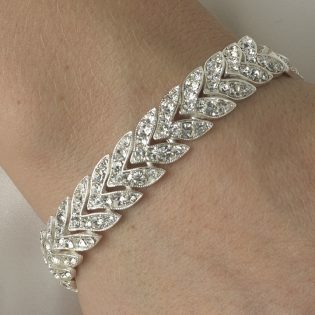 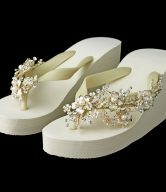 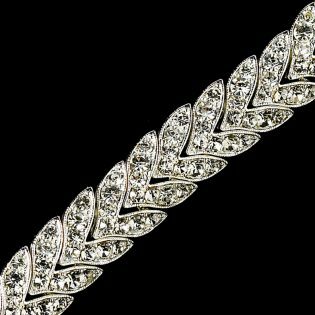 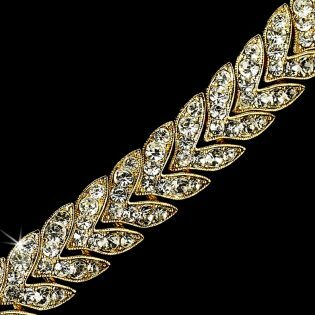 AB iridescent, gold or silver-plated laurel wreaths weave throughout a beautiful gathering of glittering clear rhinestones making this gorgeous rhinestone bridal bracelet truly memorable. The bracelet is available in three color options – AB iridescent, gold clear and silver clear. 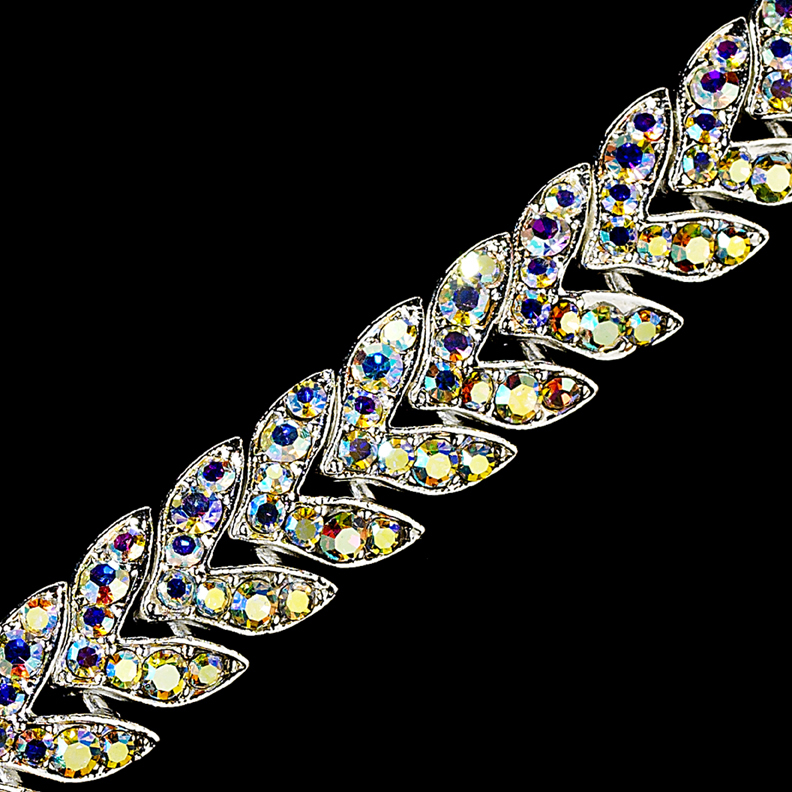 It measures 7″ long by 1/2″ wide. 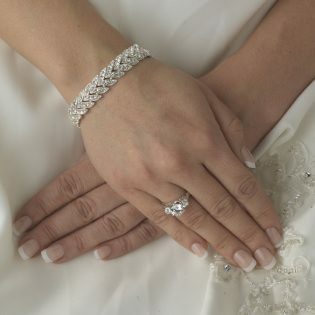 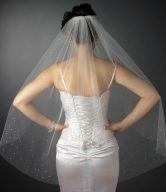 Versatile, the Elegant Rhinestone Bridal Bracelet is a beautiful accessory to your classic or modern wedding.